The flight leaves from the small town of Taucho, Adeje, located at a height of 800-1.000 meters. Depending on the presence of updraft currents, the flight can last from 15 until 25 minutes. 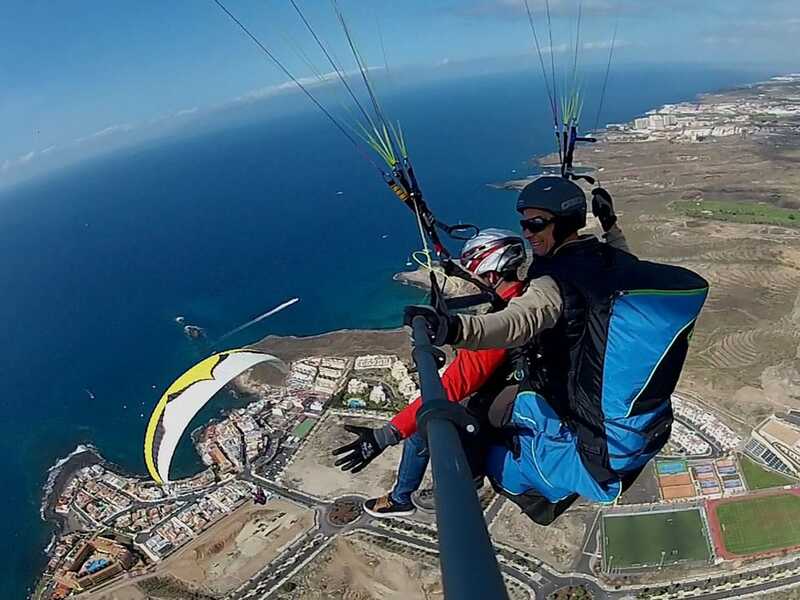 The landing usually takes place on La Caleta beach, Adeje, where you can relax and have a drink at the beach bar nearby. We will be able to admire the beautiful landscape of the Island of Tenerife from a different perspective. Feel free to tell us if you prefer to fly in the morning or catch the last light at sunset! All the rest of the equipment is given by the pilot! Maybe it’s not the usual way to visit the highest active volcano in Europe, but flying next to it is the most breathtaking one. • Transfer back to the South. 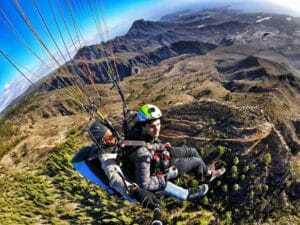 The price for this special flight is €200 per person. 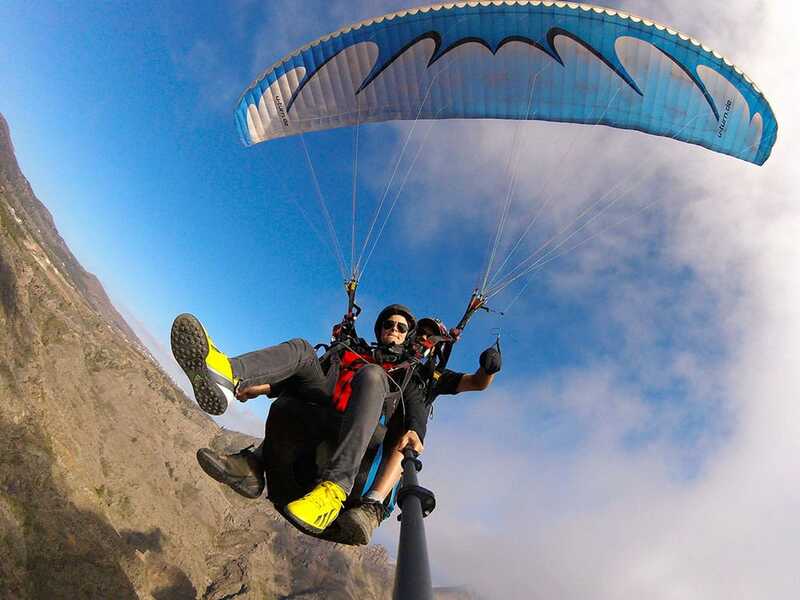 Our team of professional paragliding pilots can speak English, French, Spanish and Italian.